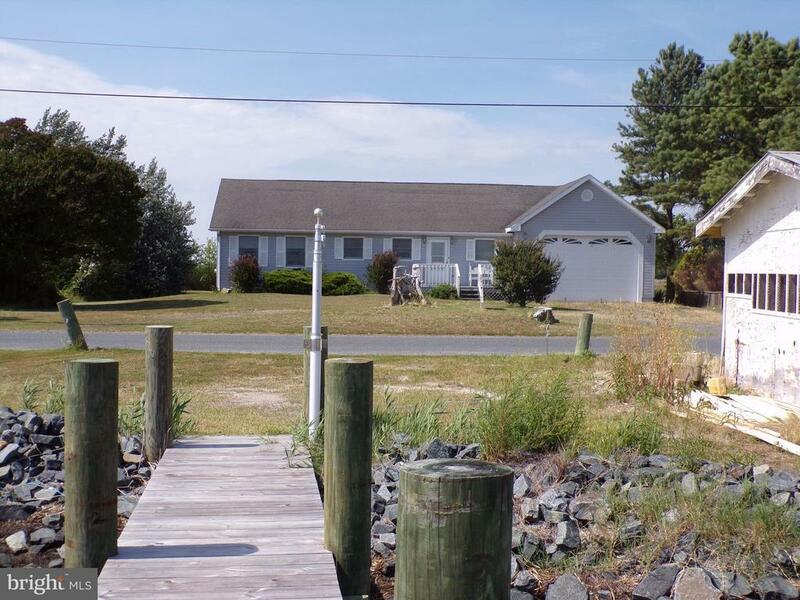 AFFORDABLE WATERFRONT--Keep your boat out your front door, private dock and boat ramp-- fishing village with all of the Eastern Shore charm. Very well kept 3 bdrm, 1 bath rancher with front porch to watch the sunsets and back covered deck for family gatherings. High lot, oversize 2 car garage could keep 3 cars if you did not want the back portion for a workshop. Dont miss this one --Call Listing Agents today for an appointment and have your Summer fun in view.